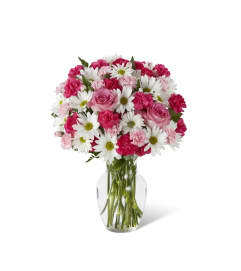 Golden hearts and red roses are the perfect recipe for Valentine's Day bliss! 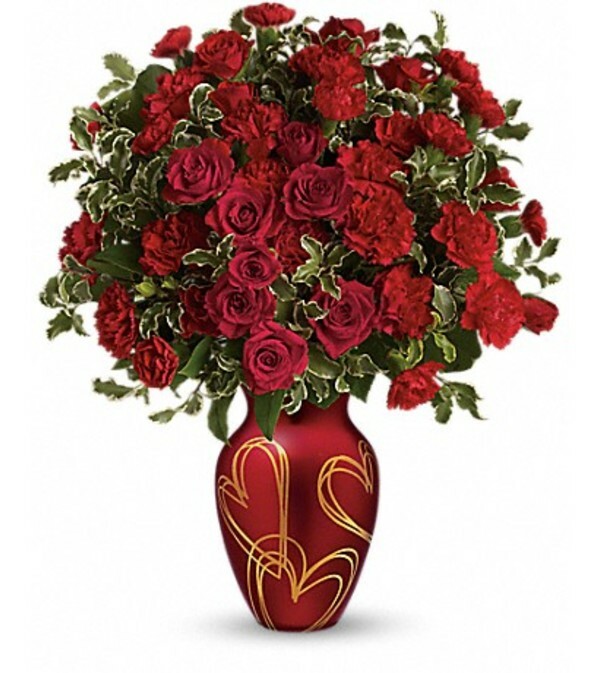 Surprise someone special with this delicate arrangement of red roses and carnations, hand-delivered in a rich red vase with gorgeous satin finish, adorned with golden hearts. 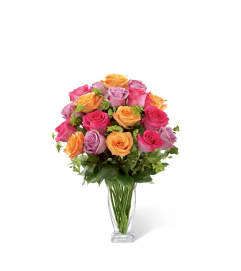 This sweet bouquet features red spray roses, miniature red carnations, pitta negra and lemon leaf. Delivered in a Hearts Of Gold vase.